[DOURO VALLEY, PORTUGAL] — I see all these Instagram peeps hitting Porto taking pictures of the big bridge, climbing up its steep hills, drinking some port and then bolting. 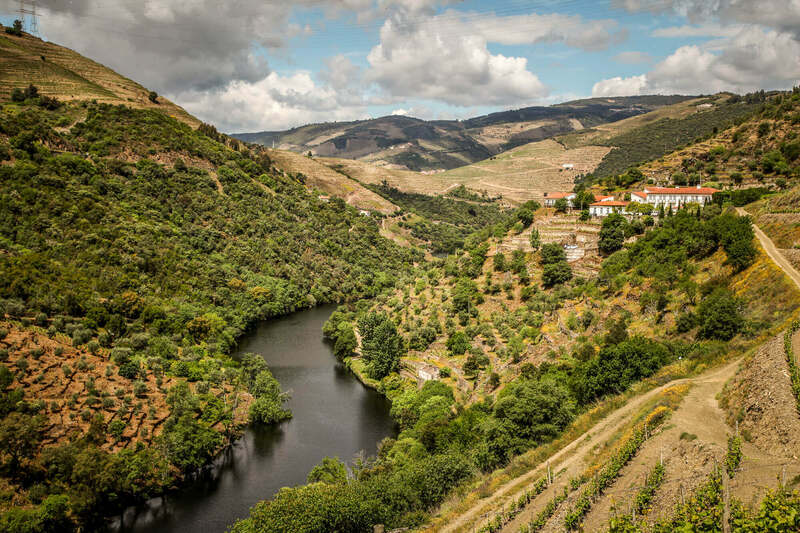 But really what they’re missing is a day trip (or longer) up the Douro River to visit the incredible, hilly stair step vineyards of the Douro Valley, one of the prettiest places I’ve ever been. I dunno, I’m over wine tours, once you see a few, they’re all the same to me — “Is that French oak or American? How long in stainless? ?” — poke me in the eye with a stick…but that’s just me.. But the Douro Valley is different. Hilly. Steep. Flinty mounds of luscious green heaven pouring down to a mellow meandering river. 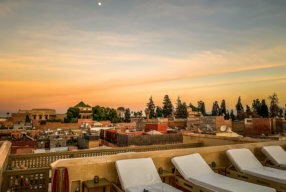 Each and every hill terraced from top to bottom with luscious rows of grapes. You can take a day-trip tour out of Porto like I did, but I regret not coming out here and staying in one of the few, but cool, new hotels that have opened up here in recent years and really get immersed in the mellow vibe. Like this one, the brand new Six Senses hotel, straddling a hilltop, overlooking the sauntering Douro River below. What makes their tours special is that they are less about wine-tastings and visiting the many wineries and more about the beauty of this valley, its people and important history in the evolution of wine. 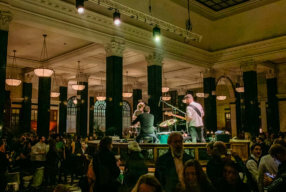 (That’s my picture of them on their website!). 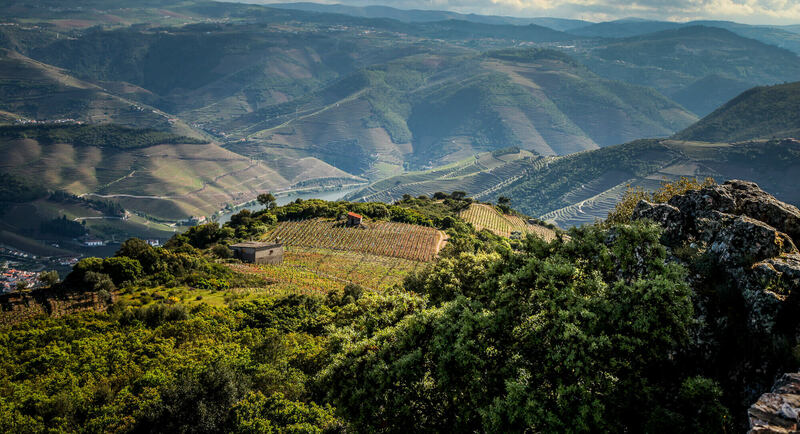 Take their Silver Tour and you’ll stop at a vineyard, take a short boat ride to see the hills from the water, stop for an amazing lunch at famous chef Rui Paula’s DOC restaurant right on the water… and end the day at the best mountaintop views of the best stretch of the valley. 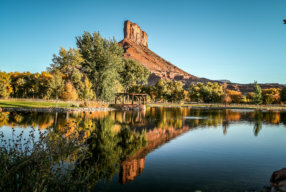 Even if you’re not doing wine tours, just driving around here is like being in another world. That’s not Vietnam. Those aren’t rice patties. That’s wine. 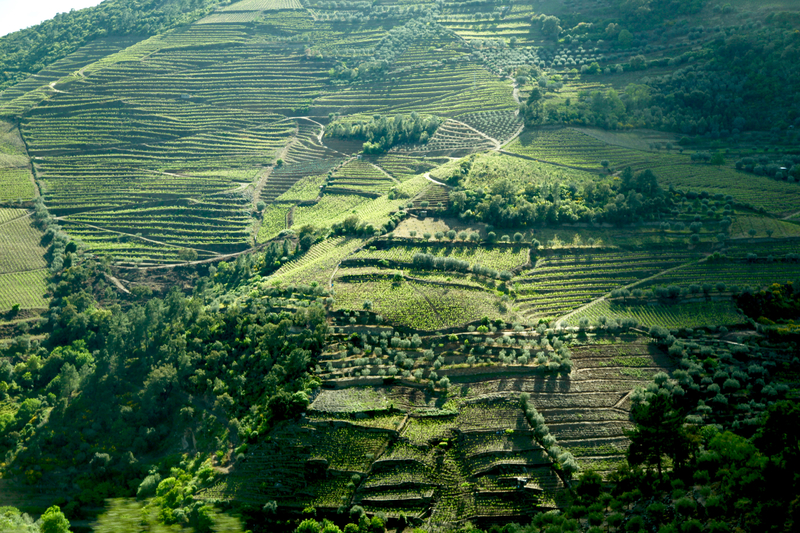 For hundreds of years, these Douro vineyards were coaxed out of solid flint rock by hand and metal bar. Terraced from top to bottom, the soil so flint-rocky that some of the rows go straight up and down the mountains, without worry of runoff or erosion. There really isn’t one varietal, Douro wines are usually thick inky blends of dozens of types of local grapes you’ve never heard of. I love them like puppies. Every curve of this valley opens up an entirely different scenery and topography. I mean …. . This slinky river saunters its way like this all the way to Spain. I normally don’t do tours, I prefer to get lost by myself. But I did for the Douro Valley and highly recommend it. Douro Exclusive. One of the best tours I’ve ever done. 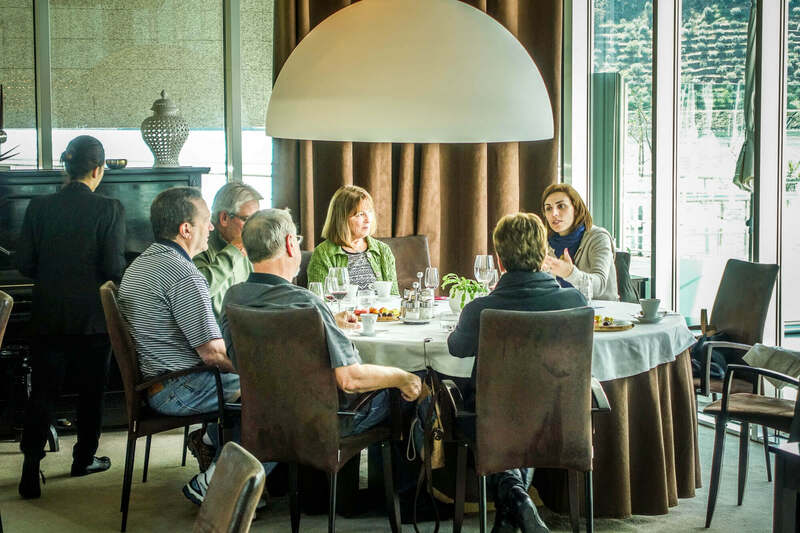 A perfect mix of telling the story of the land, a little wine tasting and a fantastic lunch at an exceptional Rui Paula restaurant on the river. They mixed it up perfectly with a cool boat ride up the Douro, staring up at all those terraced green hills. My van mates on our our own private boat tour. Getting out on the river was the coolest thing. You get to see the terraced vineyards from a completely different angle. If you look at all the maps, Regua is one of the central towns to explore the whole Douro Valley. There are only a couple of bridges that cross the Douro, these beautiful spans at Regua. Ana and Marco. The best. Rui Paula’s stunning DOC restaurant. Smack right on the river. 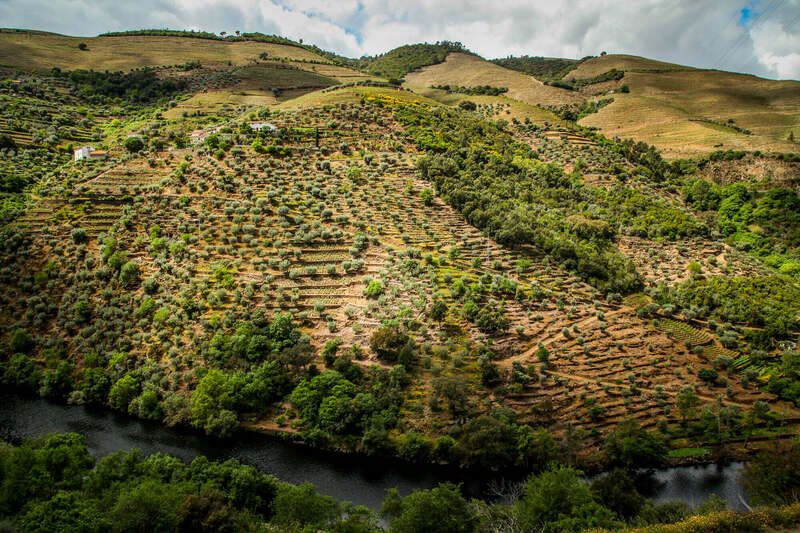 What I loved about Douro Exclusive tour of the Douro Valley was it was more about understanding the incredible land and its importance as one of the world’s first big wine production areas, not a full-on wine tasting tour. So this was perfect pour moi. 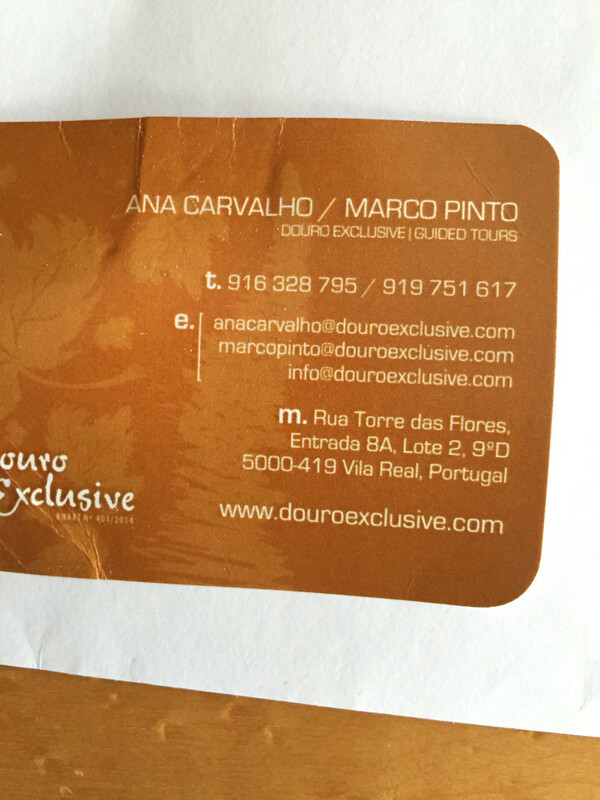 Douro Exclusive’s tour was more about natural beauty than copping a buzz. We did stop at one vineyard, Quinta do Panascal, the flagship vineyard owned by the big producer, Fonseca. Nestled right along the mellow Tàvora River before it feeds into the Douro, they say the best grapes in Portugal come from this little valley right here. 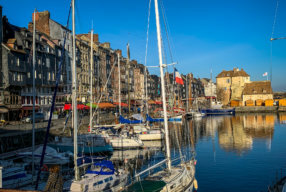 Just a dreamy location to stop and learn the quirky history of port. 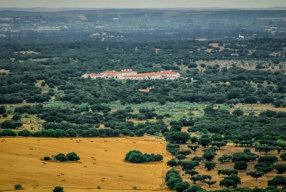 Quinta do Panascal, the flagship vineyard owned by the big producer, Fonseca. 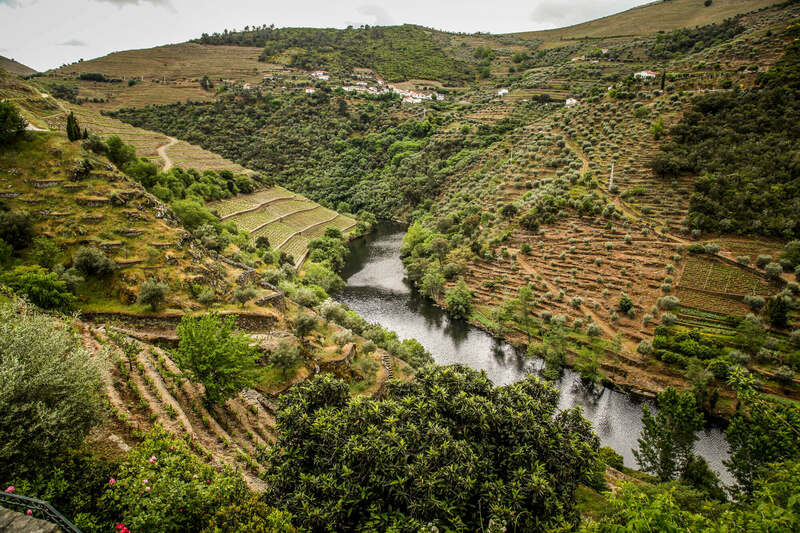 Nestled right along the mellow Tàvora River before it feeds into the Douro, they say the best grapes in Portugal come from this little valley right here. Each row is planted with a different varietal to take advantage of this advantageous location that gets sun all day. Cool grapes along the cool river, different ones along the flinty dry hilltops. Pictures just don’t do this view justice. It was so beautiful, quiet and surreal. Ana is so knowledgeable, they let her give her own tours of this vineyard. She ran the show, in their shop. Where they still squish the grapes the old fashioned way, like Lucy Riccardo-style. Feet in the meat. Here’s a link to another post on what to do in Porto. 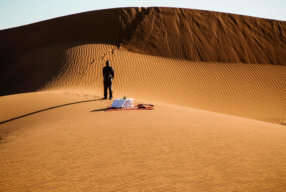 This is what you need. Contact them. 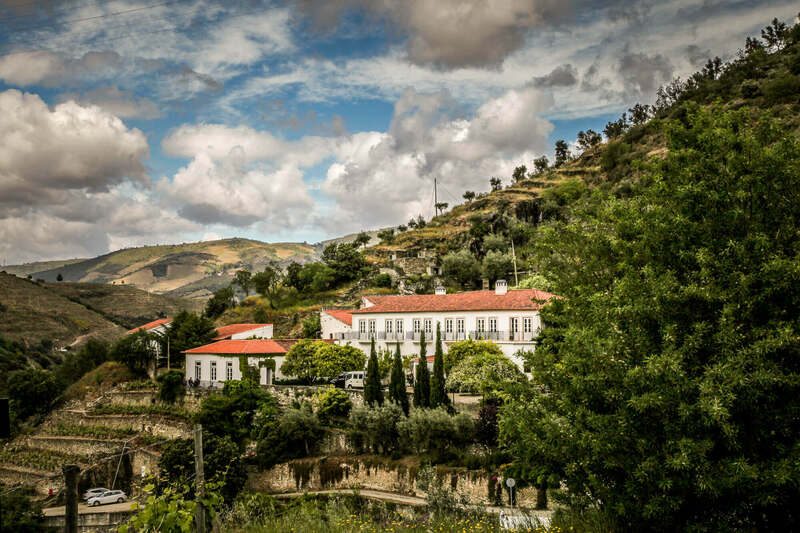 Here’a a great article in the Wall Street Journal on the growing great restaurants in the Douro Valley, including Rui Paul’s restaurant I mentioned above. And a great article in Travel & Leisure on how the Douro is the next cool place to go. And another great T&L article about driving through the wine country. Another cool article in Food & Wine on how the Douro is about to become the next big wine destination. I concur. 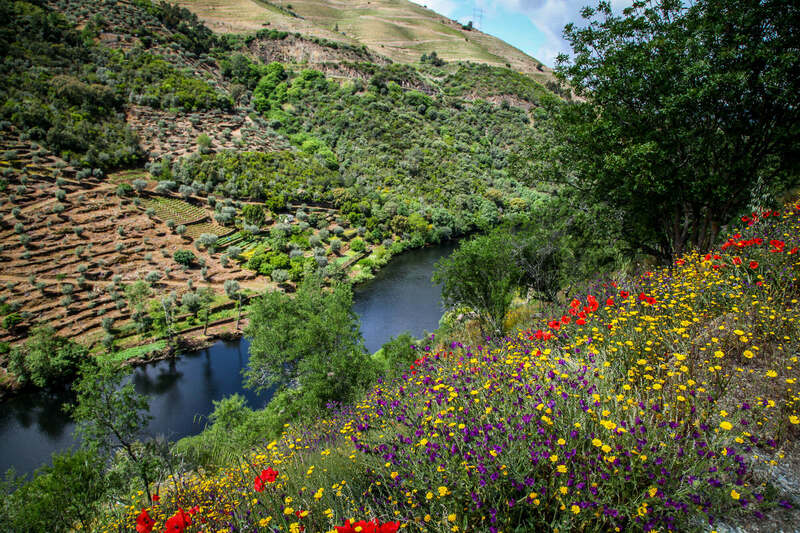 I read this article when I got back about the re-wilding of the Douro Valley in T&L. I wanna go back. 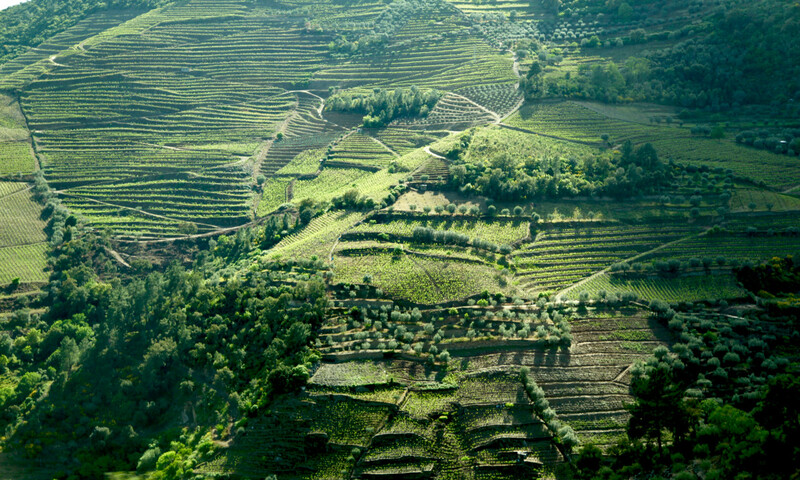 And a great guide from the UK Conde Nast Traveller on the Douro Valley. And a great overview on Porto and Douro from the famous Wendy Perrin on her awesome website.